These soft and chewy Frosted Sugar Cookie Bars are the perfect kid-friendly dessert that the whole family will love! 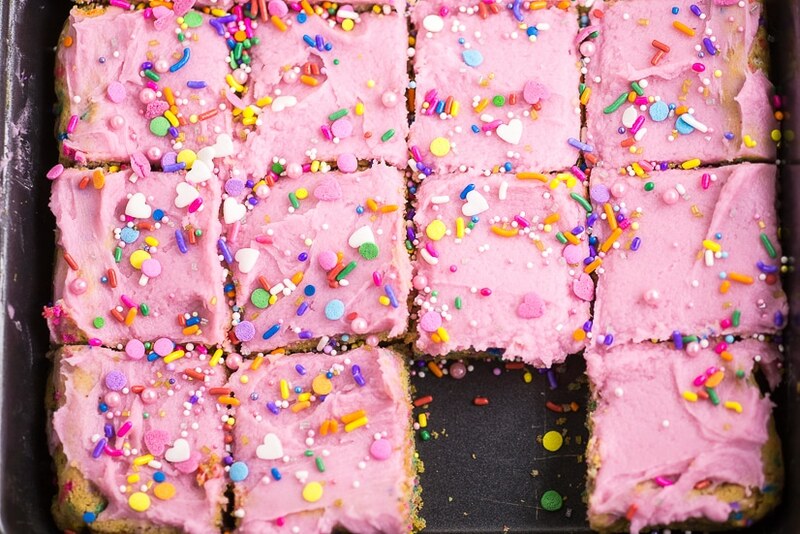 Super soft sugar cookie bars piled with vanilla buttercream frosting and lots of sprinkles! So easy to bake since they’re in bar form! Leave it to my kids to come home two days before their class party to let me know that I’m supposed to be bringing treats for their class. Add to that the fact that I had yet to actually start working on their Valentines and also needed to make dinner. But let’s not forget that it’s witching hour. You know what I mean. That awful time of day when children are exhausted from a long day of work and play. They’re a little bit hangry, but it’s too early for dinner. And they’re more than a little tired, but it’s too late for a nap if you ever want them to go to sleep at bedtime and it’s way too early for bedtime itself. Yeah. That’s where my kids are at. The worst time of day, and now I need to go to the grocery store. Sigh. You know what happens when you take kids to the grocery store during witching hour? An ever-loving nightmare. Running in circles around the cart, touching everything, knocking items over, whining about this, that, and everything else, not listening,… Utter chaos. I’m now heading back from the school pick-up line, now dreading the rest of my chaotic evening and apparently the evening to follow as well, when it occurs to me that I can go to the grocery store and get everything I need, all without ever getting out of the car! Walmart’s Online Grocery Pickup! So, I run home and tell the kids to bring all their school stuff inside, while I jump on the computer to try to figure out what allergy-friendly treat I can make for the next day and quickly order my groceries at grocery.walmart.com. 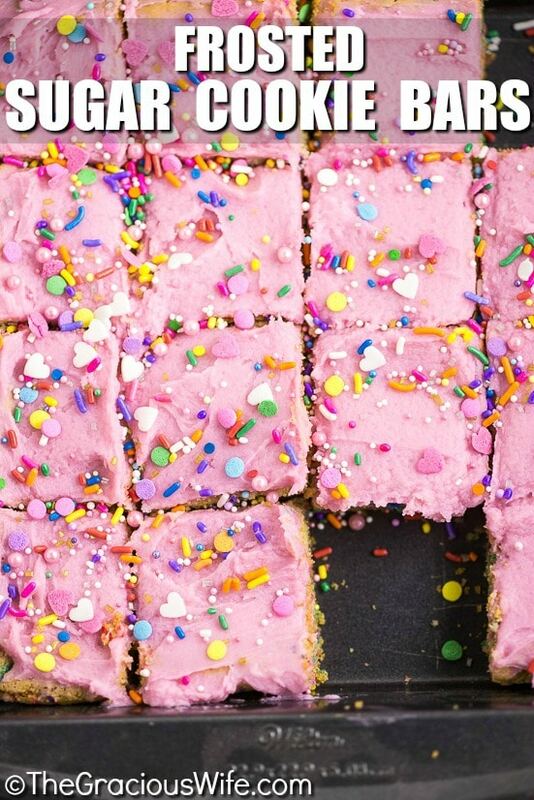 I come up with these easy and yummy Frosted Sugar Cookie Bars because I remember that Walmart has the absolute prettiest rainbow sprinkles of all time that I love. 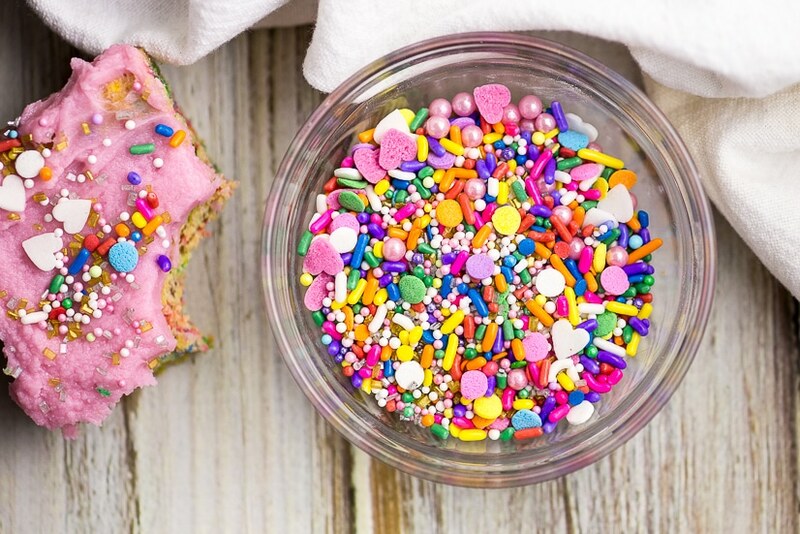 And every kid loves funfetti (and grown-ups too, if we’re honest here…)! I add all the basics to my online cart (including milk, a huge Marketside pizza for dinner since I’ll be busy baking and filling out Valentines tonight -sigh-, and some Valentines candy…. Did I mention that I may have procrastinated a little? 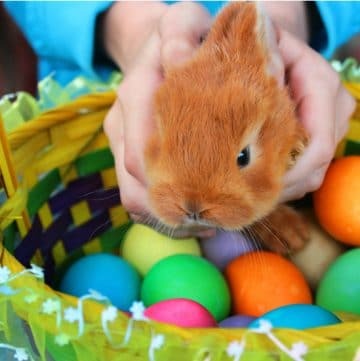 ), schedule a time for pick-up the next day, and I’m all set! No more stress. No more hassle. And best of all, no dragging cranky kids through the grocery store. It’s a grocery miracle! Head over to grocery.walmart.com to find a location near you. Fill your cart up with everything you need for the week. 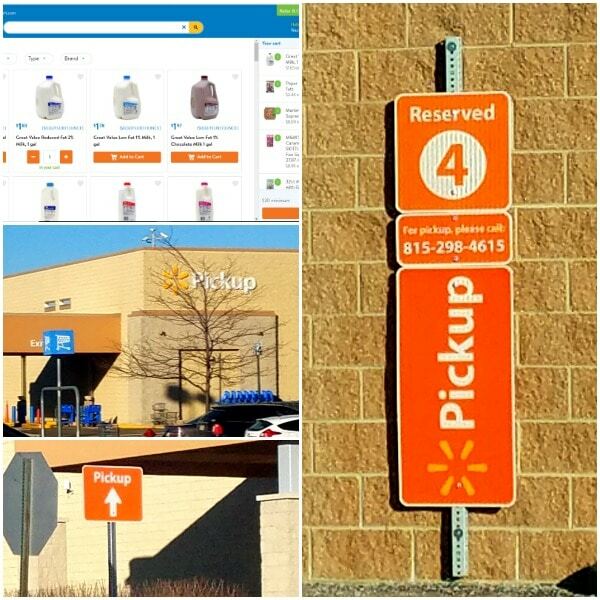 Anything you normally get at Walmart, you can throw in your cart for online grocery pickup. There is a wide variety of items available, including lots of fresh produce. A personal shopper will even pick the freshest items for you, guaranteed or your money back. Check out and pick the time you’d like to pick up your groceries. Be sure to use promo code WOWFRESH for $10 off your first order! 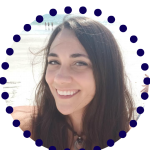 A Walmart personal shopper will carefully pack up your order, saving you time and sanity! Show up during your time window, and park in a pickup space. Pickup spaces are marked with big orange signs, so they’re easy to find. The friendly personal shopper will bring your order out. They’ll show you your eggs and produce to make sure it’s to your liking, and then they’ll load all of your groceries into your car! So easy, right? And it’s completely free! Even my kids were shocked and delighted, and even happy about grocery shopping! If you missed it above, be sure to use promo code WOWFRESH for $10 off your first order with Walmart Online Grocery Pickup! Head over to Walmart.com for your ingredients and use promo code WOWFRESH for $10 off your first order with Walmart Online Grocery Pickup! Preheat oven to 350-degrees. Line a 8 or 9-inch square pan with foil. Set aside. Place butter in a large mixing bowl. Beat for 1 minute until light and creamy. Add sugar to butter. Cream together until light and fluffy. Add egg, egg yolk, and vanilla. Beat until combined. Set aside. In a separate bowl, add dry ingredients (flour, corn starch, baking powder, baking soda, and salt). Whisk to combine. Pour about a third of the flour mixture into the butter mixture. Mix on low until combined. Repeat twice more with the remaining flour mixture. The mixture will be very thick. Press dough into square pan. Bake at 350-degrees for about 25-26 minutes (not too long so they'll be nice and soft). While sugar cookie bars are baking, prepare a half batch of buttercream according to these instructions. 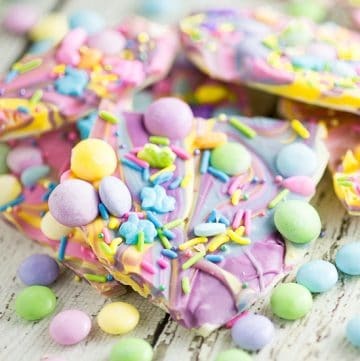 Dye your frosting with food coloring. When bars are done cooking, allow to cool to room temperature. Frost. 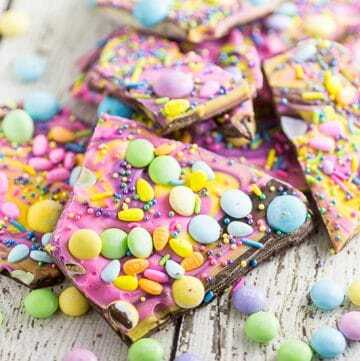 Top with sprinkles and cut into 16 squares. This recipe makes a square pan of 16 bars, but you can easily double it and bake it in 9"x13". The cooking time will change to 30-35 minutes. 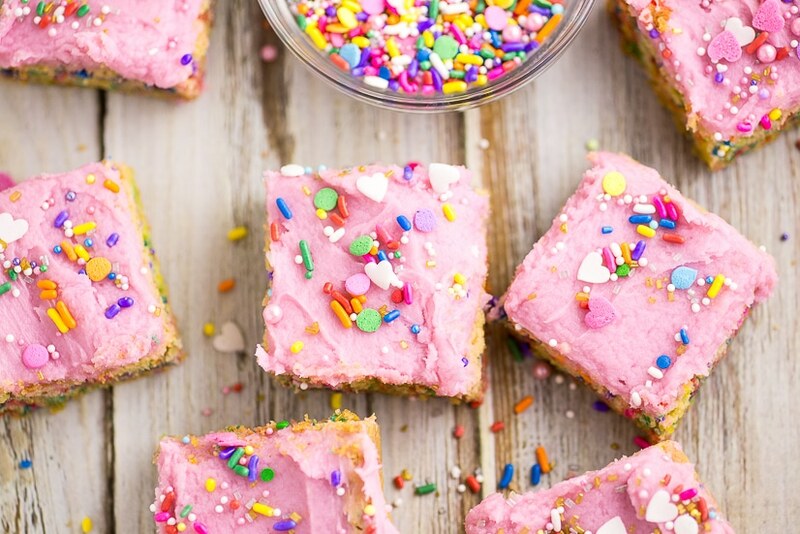 NOTE: Use rainbow jimmies in the sugar cookie bars. NOT nonpareils. 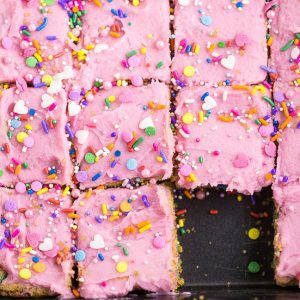 The nonpareils will bleed and turn your cookie bars weird colors. 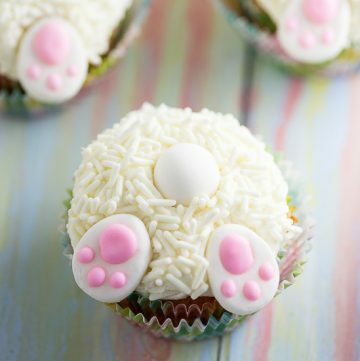 But they're perfectly pretty to use for decorating on top! Head over to Walmart.com for your ingredients, and use promo code WOWFRESH for $10 off your first order with Walmart Online Grocery Pickup!